Bad breath or halitosis is usually due to the breakdown of proteins by bacteria somewhere in the mouth. However, there are several other possible causes in the airways, oesophagus and stomach that can also lead to bad breath. If you do not brush and floss daily, particles of food remain in the mouth, collecting bacteria, which can cause bad breath. 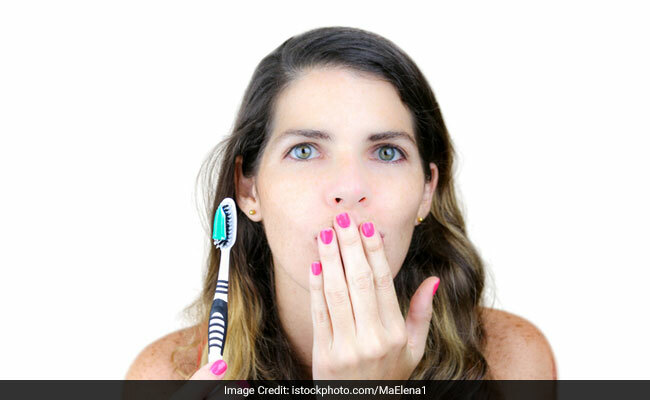 Bad breath or halitosis is usually due to the breakdown of proteins by bacteria. Always maintain a high level of oral and dental hygiene. In addition to brushing, it is important to clean between the teeth using dental floss. Drink plenty of fluids and avoid too much caffeinated products like coffee. Eat fresh fibrous vegetables. Use a mouthwash recommended by your dentist or pharmacist. The best time to use it is just before sleeping. A fluoride mouth rinse, used along with brushing and flossing, can help prevent tooth decay. Clean your mouth after having milk products, fish and meat. These food items collect between the teeth, on the tongue and around the gums can rot, leaving an unpleasant odor. Visit your dentist regularly and have your teeth professionally cleaned as required. Regular checkups will allow your dentist to detect any problems such as gum disease, a dry mouth or other disorders that may be the cause. Tobacco products cause bad breath, stain teeth, reduce one's ability to taste foods and irritate gum tissues. Tobacco users are more likely to suffer from periodontal disease and are at greater risk for developing oral cancer. Bad breath may be the sign of a medical disorder, such as a local infection in the respiratory tract (nose, throat, windpipe, lungs), chronic sinusitis, postnasal drip, chronic bronchitis, diabetes, gastrointestinal disturbance, liver or kidney ailment. Stay hydrated. If you can't brush your teeth after a meal, drinking a lot of water can help speed up the process of cleaning harmful bacteria and debris from between your teeth. Drinking milk can even help deodorize some offensive breath odors. Avoid sugary drinks. Don't drink too much coffee. It may be tasty, but coffee is a tough smell to get off the back of your tongue. Consider switching to an herbal or green tea. Don't smoke or use other tobacco products. Cut back on alcohol. Alcohol can lead to a dry mouth. Too much beer, wine, and hard liquor can make your breath reek for up to eight to 10 hours after you finish drinking.